There may be slightly less snow this year, but stay warm, as the cold is as biting as ever. 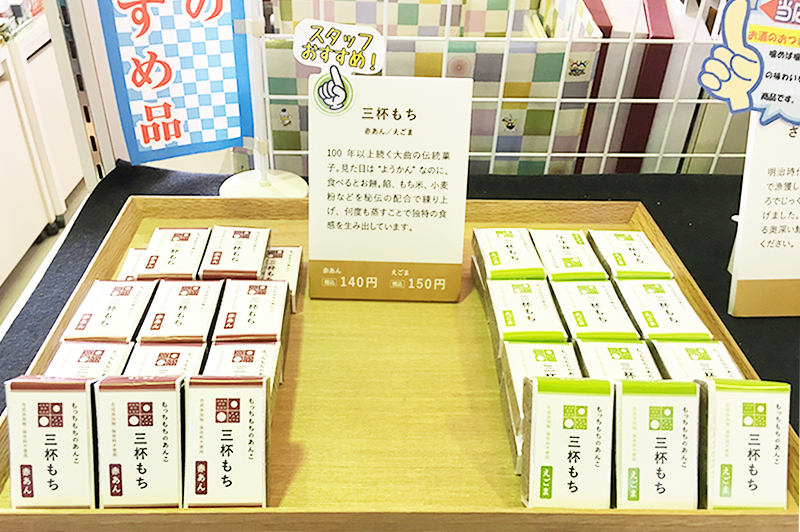 “Sanbaimochi (Three Cup Mochi)” is a local traditional sweet that has been around for more than 100 years. While it may look like it’s made from red bean paste, it’s actually made from rice. The distinct texture is made by kneading glutinous rice and wheat flower together with secret ingredients and then repeatedly steaming it. Dive in to this addictive sweet with two different flavors: red bean paste and sesame.